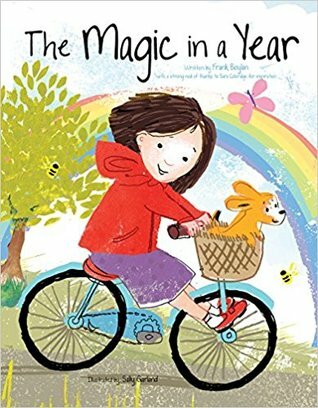 Discover the magic in a calendar year with this endearing title that follows a young girl as she tells of all the unique things she loves about each month of the year. Not only does this title teach little ones the months of the year, it allows them to open their eyes to what makes each season so special. Frank Boylan came to Canada from Ireland in the mid-1950s and spent many years working as an engineer before retiring about a decade ago. While much of his time was spent working in the scientific world, he could occasionally be found lost in the artful world of poetry, both enjoying the work of others and crafting some of his own. Sally Garland lives in Glasgow with her partner Ronnie and their son Johnny. She studied illustration and graphic design for four years at Edinburg College of Art. Sally believes it is the observation of childhood and the imaginative world that children inhabit that is a continual source of inspiration. She describes her work as slightly quirky and whimsical.